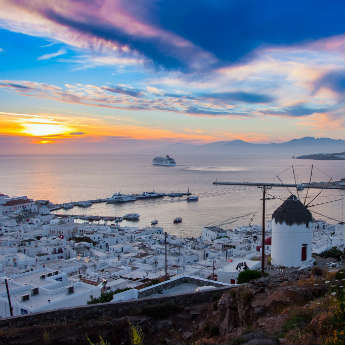 Mykonos is often overlooked in favour of its more popular neighbour Santorini, however if you’re looking for something a little livelier, this wonderful island could be perfect for you. Combining the beauty of Santorini with some of the best night life across Greece, you can be assured of a picturesque holiday to remember with Mykonos breaks. After all the parties and clubs, you can spend your days at the beachside restaurants that are famed around the world, such as Kiki’s grill shack which has stunning views of Agios Sostis bay. 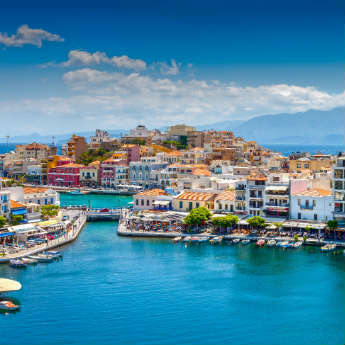 The largest of the Greek islands is Crete, which is also home to some of Europe’s most beautiful beaches. If spending your days relaxing on the many stretches of sand isn’t your cup of tea however, don’t worry, as Crete is packed full of sightseeing destinations, such as the Palace of Knossos which dates back to 7000BC. For a more fast paced and party atmosphere you can head to Malia and the many bars dotted around the main strip. Naxos is home to just under 100km of white sandy beaches, so it’s the perfect destination to relax and take it easy on a beautiful coastline. The best of the family beaches are located in Agios Prokopios and Agia Anna, as they’re home to child-friendly shallow waters as well as traditional Greek tavernas and bars. Corfu offers holidaymakers a great mix of options for their trip away. If history and sightseeing is top of your list, then there is plenty to keep you entertained in Old Perithia which is Corfu’s oldest town. 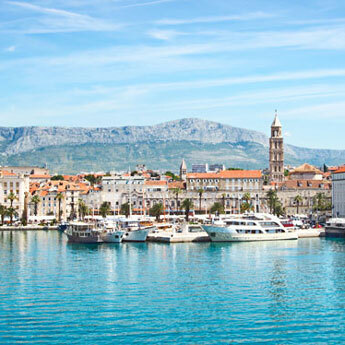 It is surrounded by plenty of ruins to discover and vineyards to escape to after a hard day of exploring. Corfu is one of the most popular Greek islands, so there is definitely something for everyone when it comes to taking a holiday here. Milos is currently a fairly undiscovered island when it comes to tourism, so it’s the perfect time to visit before gets more and more popular with tourists. The island has plenty to offer visitors, from the stunning cliffs of Sarakinikos, colourful coastlines and the green swimming holes of Papafragas. Which of the islands would your perfect pick for a holiday? Let us know by tweeting us at @icelollyholiday!